Rescue effort saved at least 500 people. 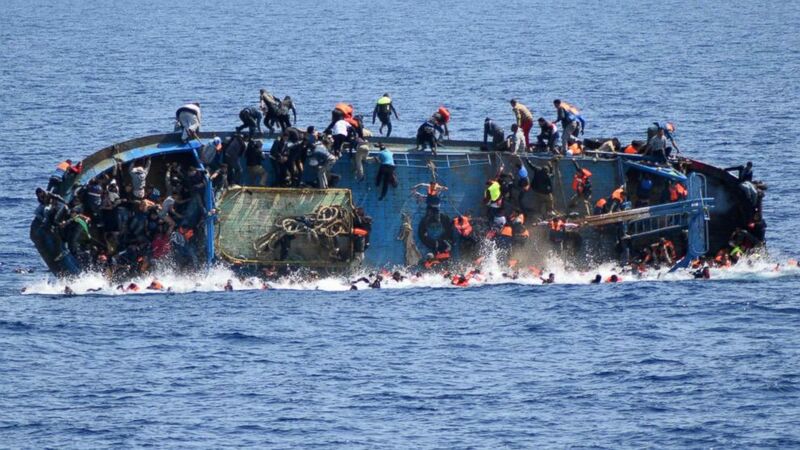 camera (Marina Militare/AFP/Getty Images) A handout picture from the Italian Navy shows the shipwreck of an overcrowded boat of migrants off the Libyan coast, May 25, 2016. 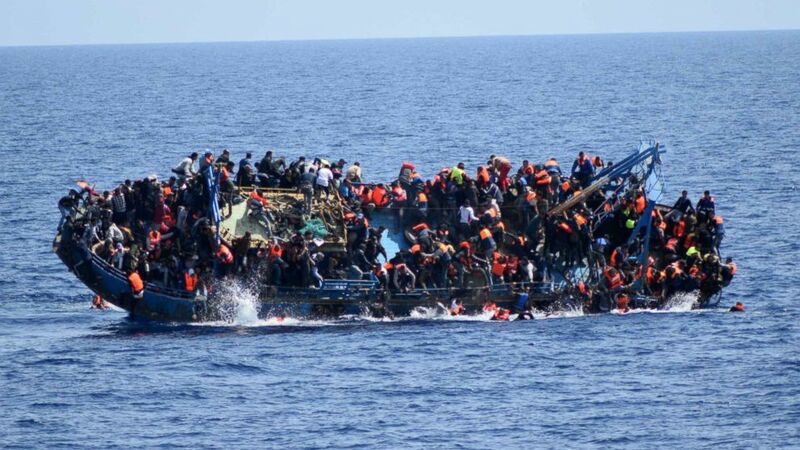 An overcrowded boat carrying hundreds of migrants capsized today in the Mediterranean Sea, killing at least five, according to the Italian navy. Roughly 562 people had been pulled to safety off the coast of Libya, but there was a possibility the death toll could rise, an Italian navy official told ABC News. 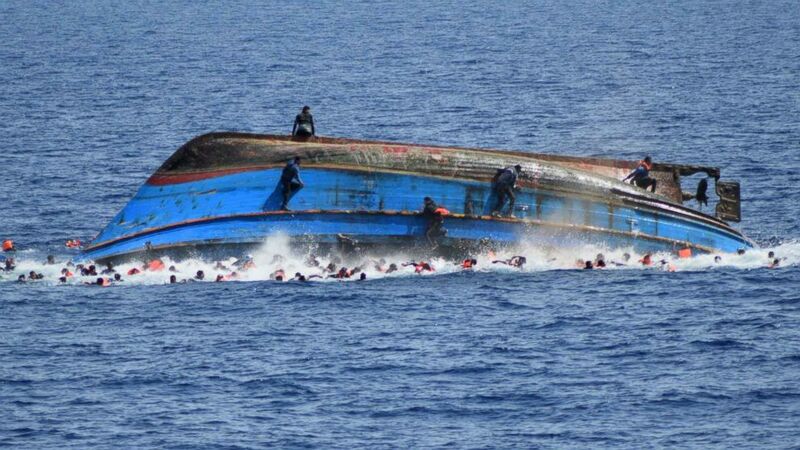 (Marina Militare/AFP/Getty Images) A handout picture from the Italian Navy shows the shipwreck of an overcrowded boat of migrants off the Libyan coast, May 25, 2016. 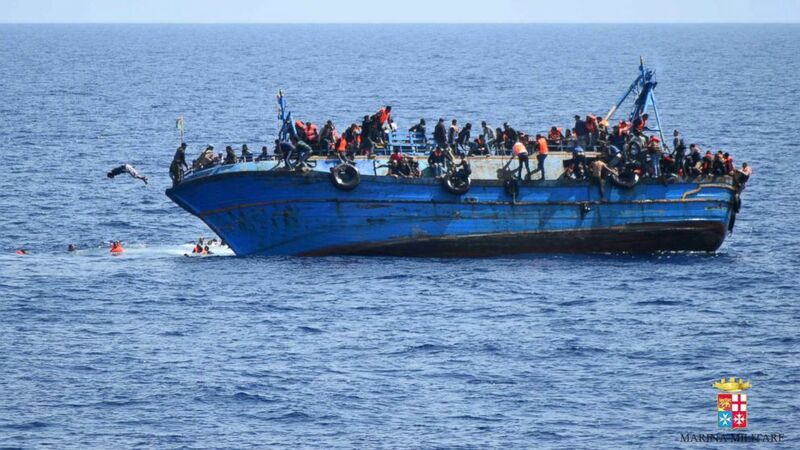 The Italian navy's Bettica patrol boat spotted "a boat in precarious conditions off the coast of Libya with numerous migrants aboard," it said in a statement. The waters near Libya have become a hot spot for perilous voyages such as this one, as thousands of people have sought refuge from war-torn regions of the Middle East in recent years — the bulk of whom are refugees escaping from Syria. Amnesty International, a nonprofit organization focused on human rights, estimated in February of this year that "more than 50 percent of Syria's population" was displaced as a result of war. "One in every two of those crossing the Mediterranean this year – half a million people – were Syrians escaping the conflict in their country," the report said.